Quality deck with ballustrade. Garden decking continues to grow in popularity. 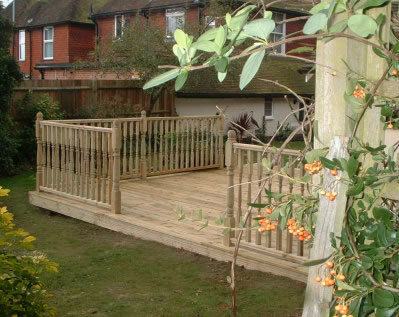 A cost effective way of extending your recreational space into the garden. Available in soft and hardwoods. Landscape gardeners designing and building bespoke gardens in London, Kent, The South East.